Grade thresholds taken for Syllabus 9702 (Physics) in the March 2016 examination. Grade A* does not exist at the level of an individual component. 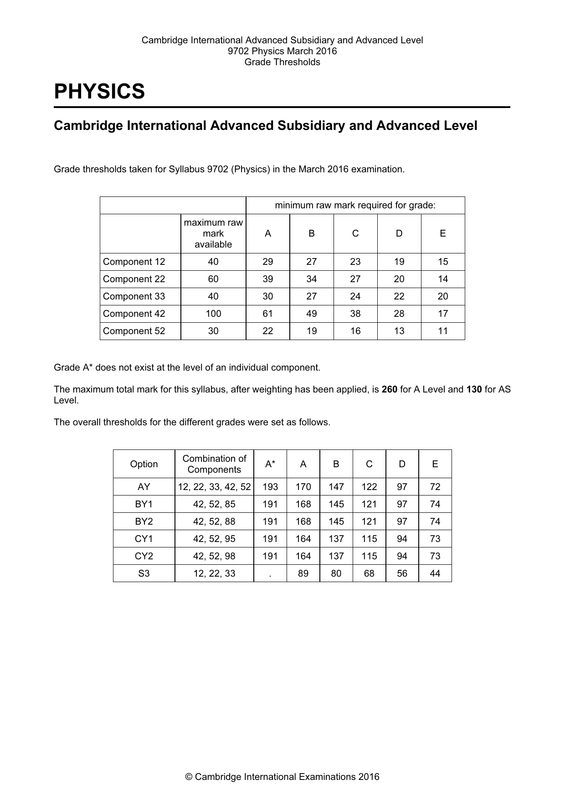 The overall thresholds for the different grades were set as follows.